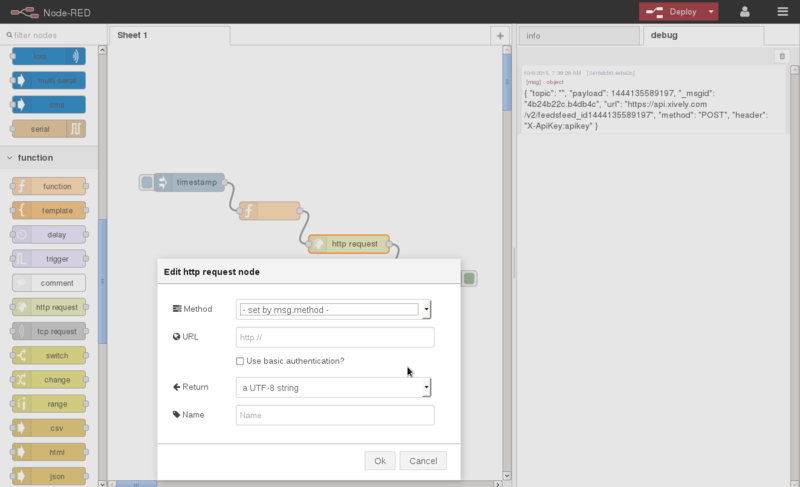 Using the function and http request nodes the Conduit can be configured to communicate with any REST API cloud service. 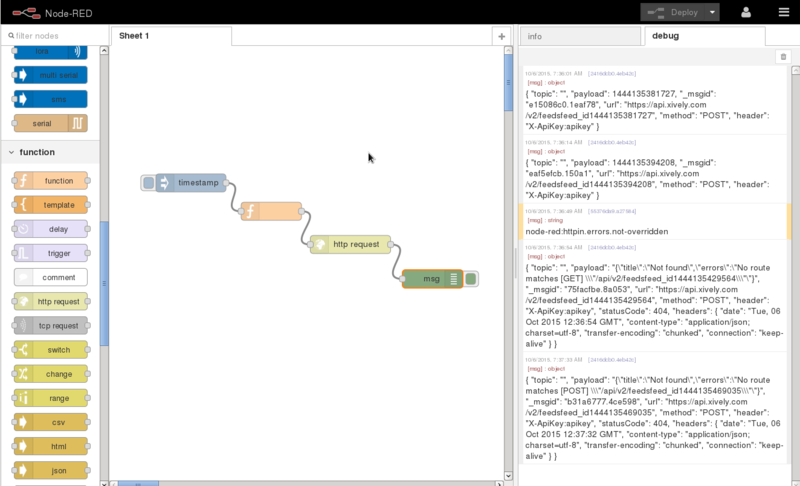 Double click on the debug node and change Output to complete msg object. You get an error with node-red:httpin.errors.not-overridden message or http://bit.ly/nr-override-msg-props url.